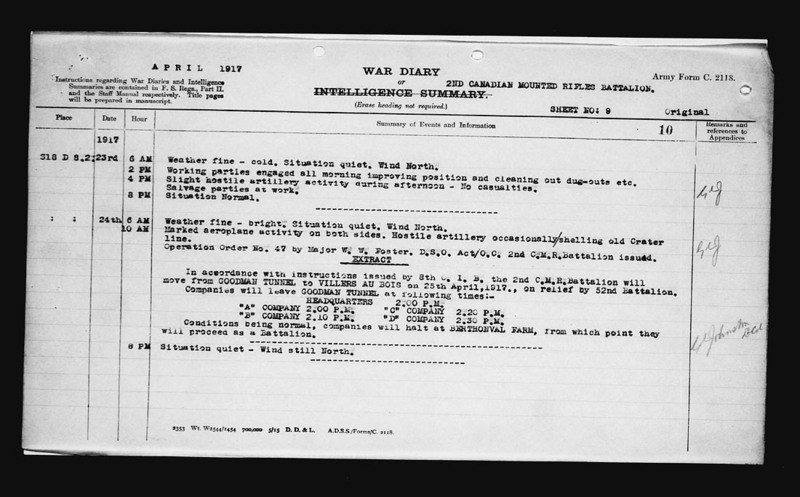 “The troops still in Canada awaiting their opportunity to join their comrades at the front; the young Canadians who are about to enlist and the officers and men who have been deprived of the previlege of participating in active operations at the front but who have devoted themselves to the task of raising and organizing the Canadian Expeditionary Force; on behalf of all these I extend to yourself and the officers and men under your command their warmest congratulations, in which I heartily concur, upon the splendid and inspiring victory of Canadians at VIMY RIDGE”. 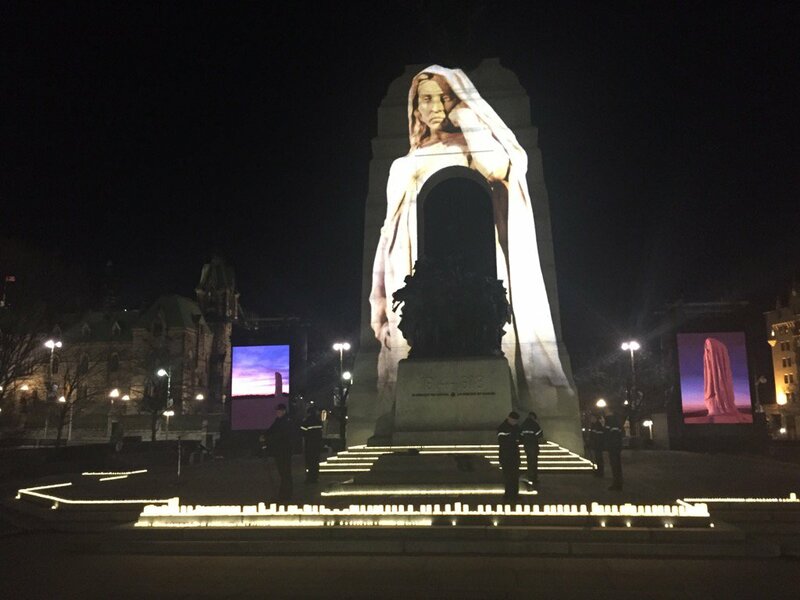 “Your inspiring message has been communicated to all ranks of the Canadian Corps . 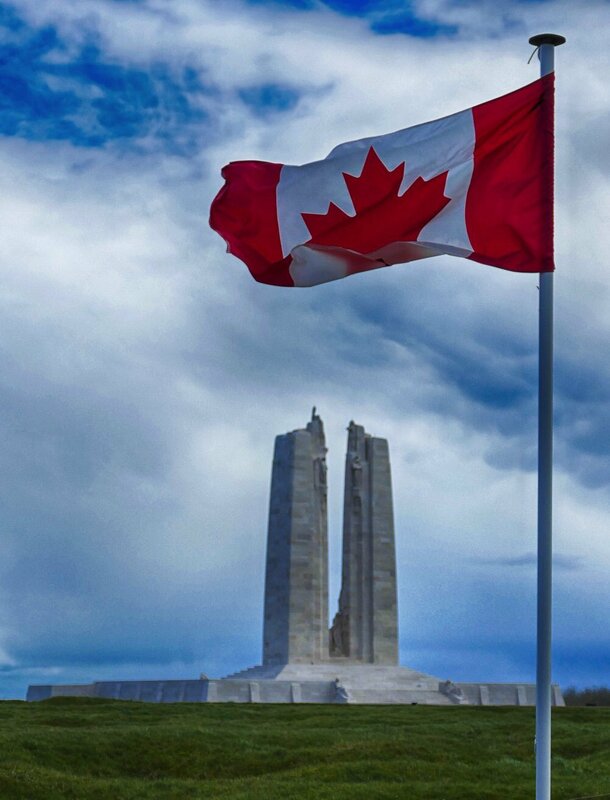 All have warmest appreciation of the patriotism of those Canadians not serving with the Corps, whose work have made the success of the Corps possible and hope for a continuance of that success in the future”. 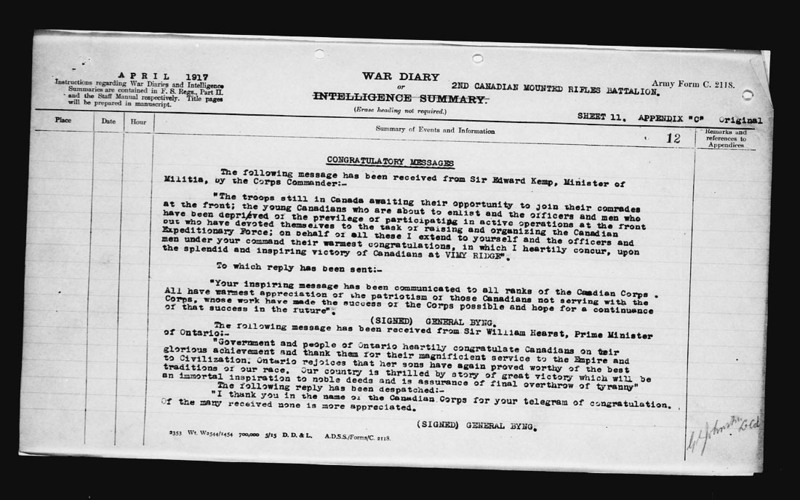 “I thank you in the name of the Canadian Corps for your telegram of congratulation. Of the many received none is more appreciated. 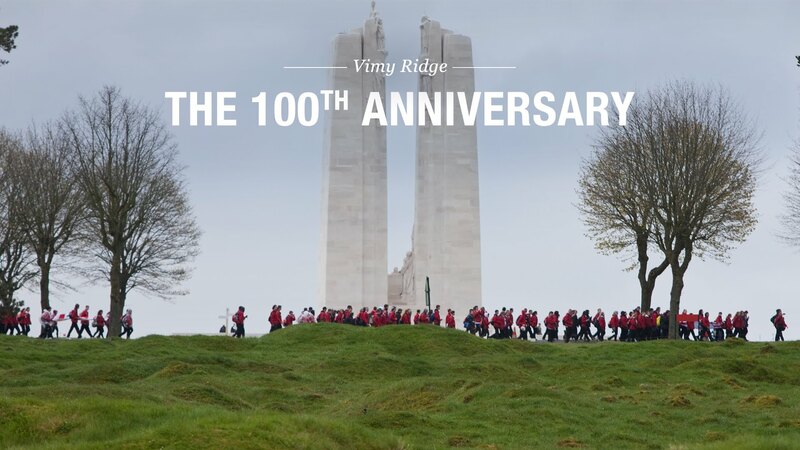 “My warmest congratulations to the Canadian Troops under your Command in their brilliant exploit in the capture of VIMY RIDGE”. The following telegram has been received from F.M. H.R.H. The Duke of Coanaught. “Warmest congratulations great success Canadian Corps”. “YOur Royal Highness’ message most gratefully received”. Mon., Apr 30, 1917 VILLERS AU BOIS. 9 AM Weather fine. Advance party left Villers au Bois for forward area. 10 AM Companies and Details preparing to move forward. 3 PM The Battalion moved from Villers au Bois to new area. Sun., Apr 29, 1917 VILLERS AU BOIS. 9 AM Company parades etc. 2 PM Companies engaged on cleaning camping area etc. 10 PM Battalion Operation Order No.48 by Lieut-Coo. G.C. Johnston. M.C. issued. In accordance with 8th C.I.B. 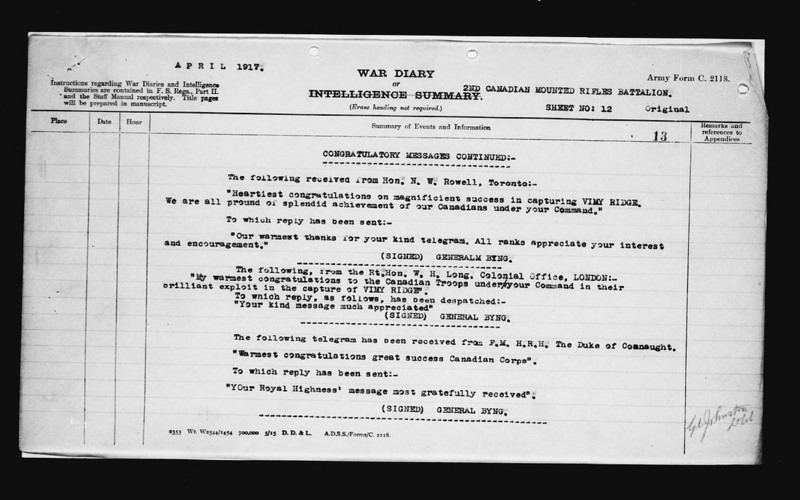 Operation order No.85 dated 29th April,1917., the 2nd C.M.R. Battalion will move forward to GOODMAN TUNNEL on 30th April,1917. Sat., Apr 28, 1917 VILLERS AU BOIS. 9 AM Weather fine – Company parades and inspections during morning. 2 PM Battalion Sports held during afternoon. Fri., Apr 27, 1917 VILLERS AU BOIS. 9 AM Weather fine – Company parades during forenoon. 2 PM Battalion Sports held in the afternoon. Thu., Apr 26, 1917 VILLERS AU BOIS. 2 OM Bathing parades held at VILLERS AU BOIS during afternoon. Remainder of the day devoted to cleaning kit etc. Wed., Apr 25, 1917 S18 D8.2. 6 AM Weather fine – Bright. Situation quiet. Wind North. 10 AM Companies engaged on General trench repair work. No Hostile shelling. 2 PM Relief with 52nd Battalion commenced and companies moving back in accordance with instructions contained in Battalion Operation Order No. 47. 5 PM The Battalion marched into VILLERS AU BOIS reaching billets at 4.30 P.M.
6 PM Headquarter established in Suburban Huts – South East of Villers au Bois – Companies also billeted in huts this area. 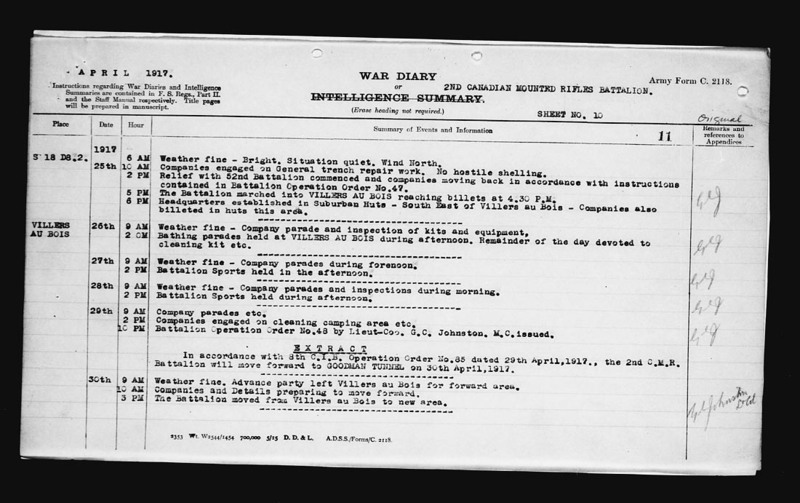 Tue., Apr 24, 1917 S18 D 8.2. 10 AM Marked aeroplane activity on both sides. Hostile artillery occasionally/shelling old Crater line. Operation Order No. 47 by Major W. W. Foster. D.S.O. Act/O.C. 2nd C.M.R.Battalion issued. In accordance with instructions issued by 8th C.I.B. the 2nd C.M.R.Battalion will move from GOODMAN TUNNEL to VILLERS AU BOIS on 25th April,1917., on relief by 52nd Battalion. “A” COMPANY 2.00 P.M. “C” COMPANY 2.20 P.M.
“B” COMPANY 2.10 P.M. “D” COMPANY 2.30 P.M. Conditions being normal, companies will halt at BERTHOVAL FARM, from which point they will proceed as a Battalion. 8 PM Situation quiet – Wind still North. Mon., Apr 23, 1917 S18 D 8.2. 6 AM Weather fine – cold. Situation quiet. Wind North. 2 PM Working parties engaged all morning improving position and cleaning out dug-outs etc. 4 PM Slight hostile artillery activity during afternoon – No casualties.